As a health psychologist, Dr. Kelly McGonigal’s job is to help people manage stress and make positive changes in their lives. After years of watching people try to control their bodies, emotions, and choices, she realized that much of what they believed about willpower was sabotaging their success and creating unnecessary stress. It became clear that many scientific insights about self-control had not yet become part of public understanding. This led to the creation of Kelly’s Stanford University course, “The Science of Willpower,” which has helped hundreds of people achieve their goals by understanding the science behind why we give in to temptation, and how we can find the strength to resist. 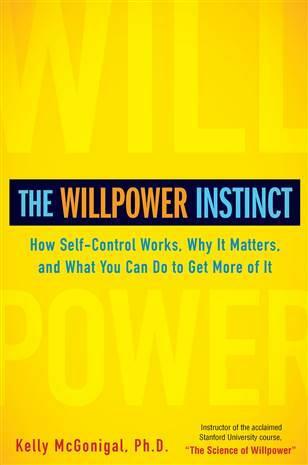 The course is now a book, The Willpower Instinct, which combines the newest insights from psychology, economics, neuroscience, and medicine to explain what exactly willpower is, how it works, and why it matters. A. J. Jacobs - "Drop Dead Healthy"
A.J. Jacobs joins us to talk about Drop Dead Healthy: One Man's Humble Quest for Bodily Perfection . More than 90 communities across the country take part in the Lung Cancer Alliance's Shine a Light on Lung Cancer Vigil throughout the month of November. A Vigil at Albany Medical Center - Hilton Garden Inn will take place Thursday night, November 14th at 5:30pm. Dr. Hilton Hossanah is here, he is a Thoracic Surgeon and Assistant Professor at Albany Medical Center. We also welcome Betsy McPhail: She built a network of support as a caregiver, which gave her the support she needed to get through. Her 20's something sister was diagnosed and died from lung cancer. And Phyllis Goldstein is Director of Lung Cancer Alliance New York and a never smoker survivor who found the path of advocacy to honor the death of her best friend and her father to lung cancer.